From 2005 through the present, Lorie has been asked to speak to a number of organizations and businesses on the importance of estate planning. Organizations include: numerous area American Business Women’s Association Chapters, parents groups, banks, elderly/caregivers group, civic organizations, LGBT groups, and many more. Watch Lorie’s Interview for Womanars on leadership and the power of women! 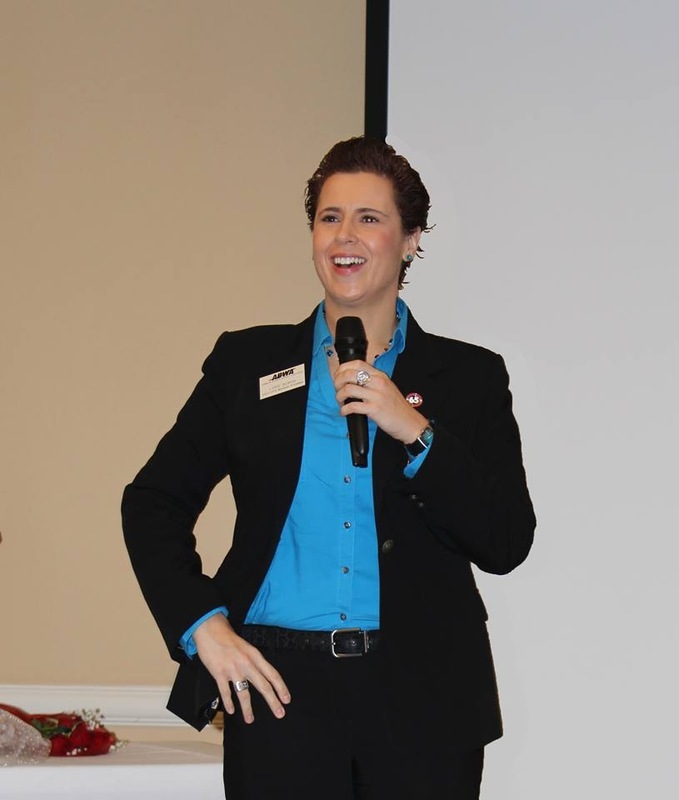 Contact Lorie to speak at your meeting or event! January 11, 2019 – Spoke to “Mommy Mixers” on importance of planning for underage children through Wills, trusts, and guardianship. June 26, 2018 – Spoke on estate planning for the Texas Business Equality Conference at the Toyota campus in Plano, Texas. June 19, 2018 – Spoke for the Dallas Public Library about estate planning and probate for the LGBT community. April 14, 2018 – Taught seminar on estate planning and probate for the Coalition for Aging LGBT. April 3, 2018 – Spoke to the Young Men’s Service League – YMSL of Coppell on the importance of establishing a Will, powers of attorney, and other legal planning. February 28, 2018 – Taught Ebby Class – Fear & Loathing in Texas…or What Every Realtor Should Know About Probate & Divorce. February 9, 2018 – Spoke to “Mommy Mixers” on importance of planning for underage children through Wills, trusts, and guardianship. January 11, 2018 – Spoke to Plano Newcomers Group on importance of Wills and Estate Planning. January 4, 2018 – Spoke to Texas Pride Realty on what realtors need to know about Estate Planning and Probate. November 11, 2017 – Spoke to the American Association of University Women on the importance of Wills, trusts, powers of attorney, and estate planning. November 4, 2017 – Presented to the Annual Summit on LGBT Aging on estate planning and probate. October 7, 2017 – Moderated the Diversity Panel for the No Mean Girls Conference. June 26, 2017 – Spoke to the DFW Human Rights Campaign about marriage equality and the next steps in LGBTQ rights. June 20, 2017 – Presented to Ebby Halliday Realtors of Dallas about Wills, trusts, probate, and title issues. June 1, 2017 – Presented to Dallas Capital Bank on how to better serve their customers’ needs when it comes to Wills, powers of attorney, and probate. May 15, 2017 – Keynote speaker to the YWCA McLean County, Illinois Women of Distinction annual awards banquet. 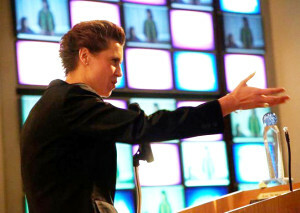 The address was titled “Equality Through Responsibility – Creating a Greater Legacy.” Click here to watch a video of her address! May 9, 2017 – Spoke to Frisco Senior Center about the importance of pets in your Will & estate plan. April 29, 2017 – Spoke to Single Parent Advocate for their Mothers’ Day Brunch honoring Single Mothers and their Kids. April 26, 2017 – Presented to Ebby Halliday Realtors, Southwest Dallas/Ellis County about Wills, trusts, probate, and title issues. April 15, 2017 – Participated in a “Know Your Rights” seminar for the local McKinney community as part of a project by McKinney Boyd High School students. April 15, 2017 – Spoke to Plano Early Lions Club about importance of estate planning. April 14, 2017 – Spoke to Retired Teachers Association about importance of estate planning. March 13, 2017 – Spoke to Dallas Trinity Rotary Club about importance of including your pets in your estate plan. March 7, 2017 – Spoke to East Dallas Rotary Club about importance of including your pets in your estate plan. February 10, 2017 – Spoke to Ebby Halliday realtors on importance of estate planning. February 9, 2017 – Spoke to MOPs (Mothers of PreSchoolers) on importance of estate planning. February 8, 2017 – Spoke to Autism Parent Support Group on estate planning and special needs trusts. January 24, 2017 – Spoke to Cedar Hill Lions Club about importance of including your pets in your estate plan. 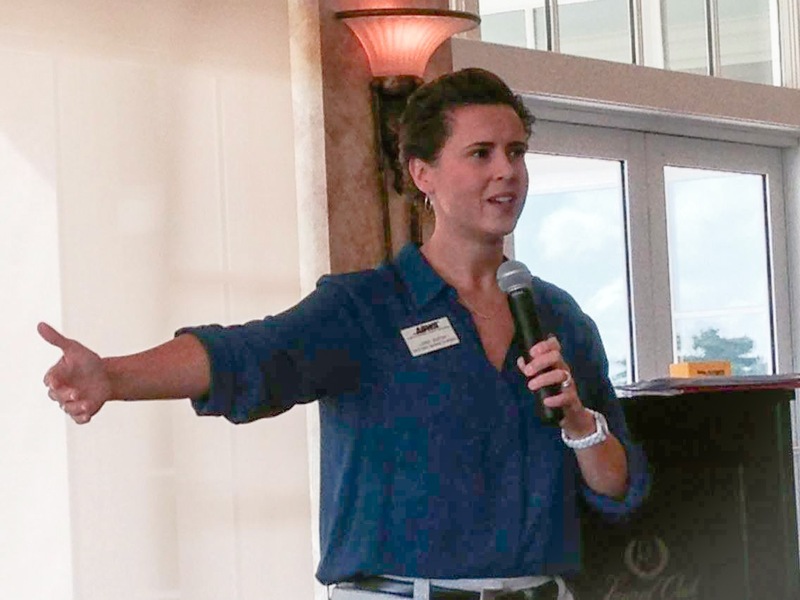 December 9, 2016 – Spoke to Ebby Halliday realtors on how to issue-spot estate issues for their clients. November 25, 2016 – Spoke to North Texas Mensa Regional Gathering on the importance of Wills & Estate Planning. September 7, 2016 – Spoke to the North Dallas Mothers of Twins Club on the importance of Wills & Estate Planning. August 27, 2016 -Keynote speaker for “Hats Off to Dreams” Celebration for the Southern California Council of the American Business Women’s Association. July 23, 2016 – Spoke on panel for the Summit on LGBT Aging on legal planning. 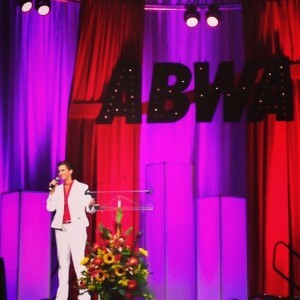 June 15, 2016 – Spoke to Victoria, Texas Network of the American Business Women’s Association about personal journey of coming out and leading in a non-LGBT organization. June 9, 2016 – Spoke to Gray Pride event for the Resource Center on the legal impact of Marriage Equality on Texans. April 6, 2016 – Spoke to SheNOW, a women’s group, about estate planning. February 11, 2016 – Spoke to Gray Pride event for the Resource Center on the legal impact of Marriage Equality on Texans. February 5, 2016 – Keynote Speaker at the inaugural Women’s Leadership Symposium in Lakeland, Florida on the importance of women in leadership. January 20, 2016 – Spoke to Estate Planning Council of North Texas on Marriage Equality. 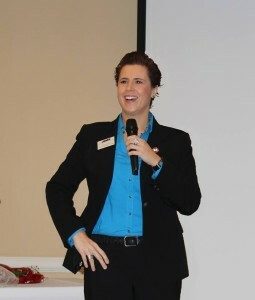 December 6, 2015 – Featured speaker for Holistic Festival of Life and Wellness (www.holisticfestivaloflife.com) on “Being Visible”; my personal journey of becoming my authentic self in a non-LGBT environment. July 19, 2015 – Interviewed on Lambda Weekly Radio on Knon 89.3 FM on Marriage Equality for Texans. Click here for the YouTube podcast of the interview! May 20, 2015 – Keynote speaker for the Greenspoint Chapter of the American Business Women’s Association in Houston, Texas on the importance of female empowerment. May 16, 2015 – Spoke to Irving League of Women Voters on equal rights. March 23, 2015 – Spoke to Young Men’s Service League mom’s group. January 25, 2015 – Taught a course on LGBT legal issues for the Southern Methodist University Affirmative Therapy program. January 20, 2015 – Featured on Fox 4 Dallas discussing Plano Equal Rights Ordinance extended to protection for sexual orientation and gender identity in employment, housing, and public accommodations. January 13, 2015 – Spoke to the Texas Young Presidents’ Organization Secretaries on estate planning and probate. April 21, 2010 – Featured on Fox 4 Dallas discussing a gay divorce case in Texas.